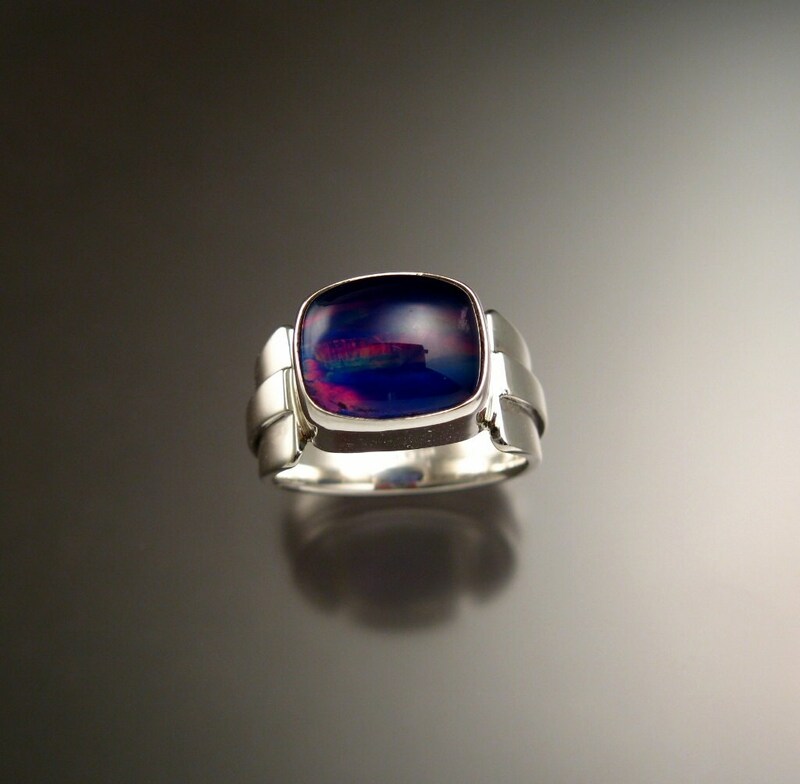 This ring really gets your attention! The natural Nigerian Amethyst is very clean and transparent. 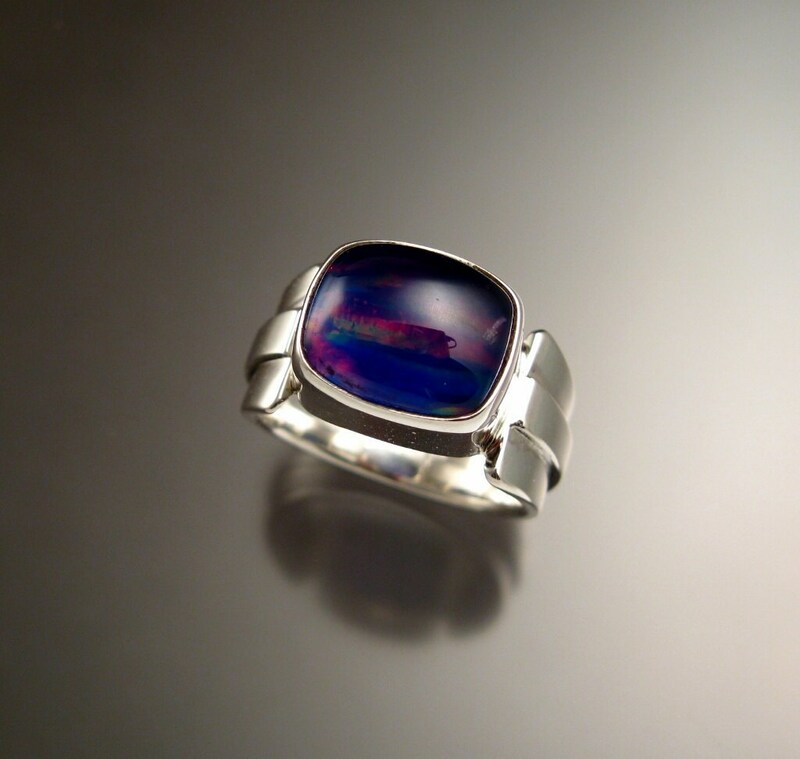 Backed with Lab Opal it displays brilliant reds greens and indigo hues through the Royal purple color of the Amethyst. 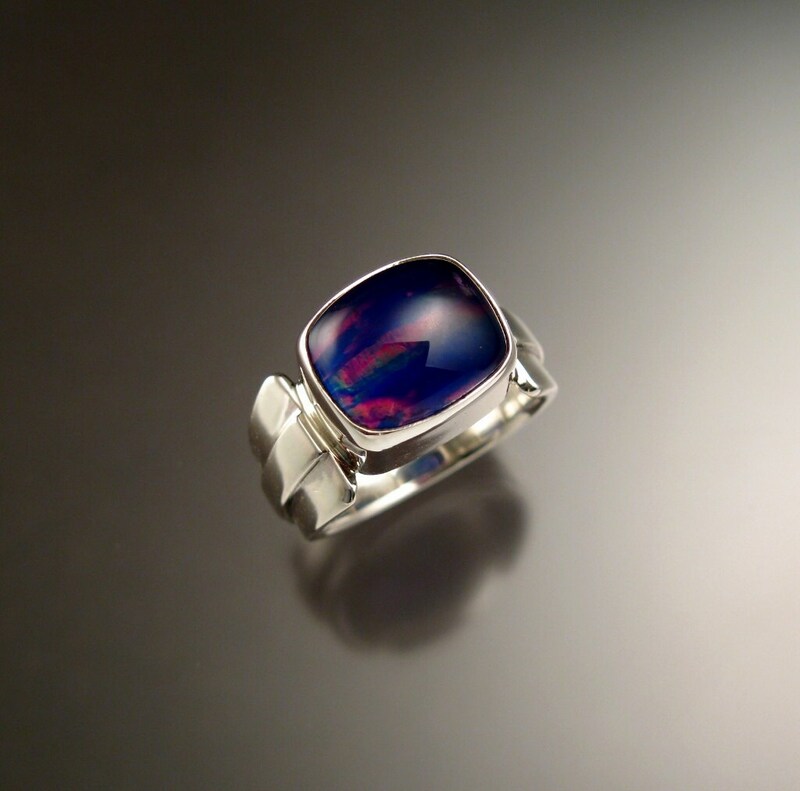 The photos can not capture the spectacular nature of this stone. 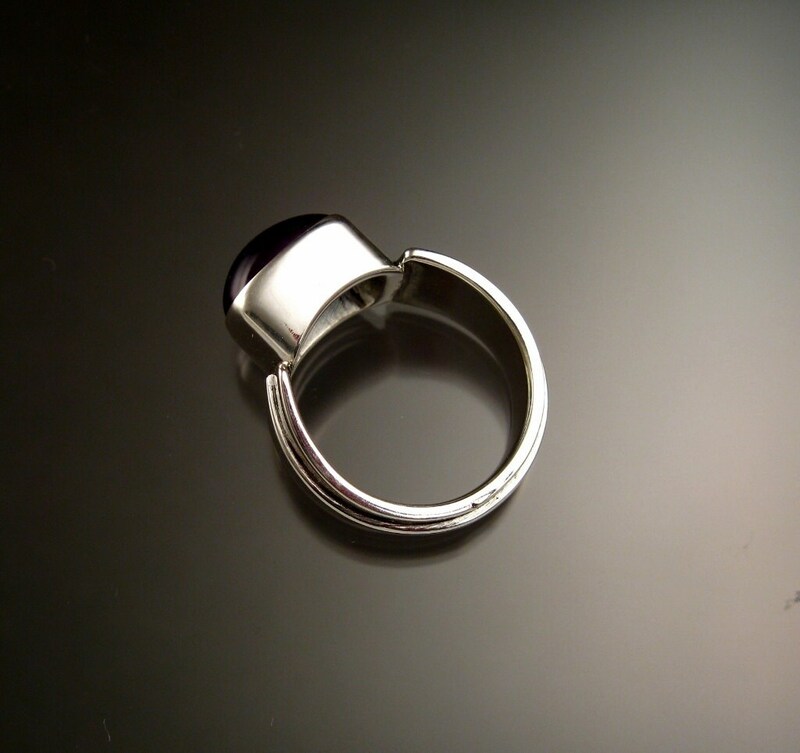 Bezel set with forged tapered multidimensional band. Size 8. 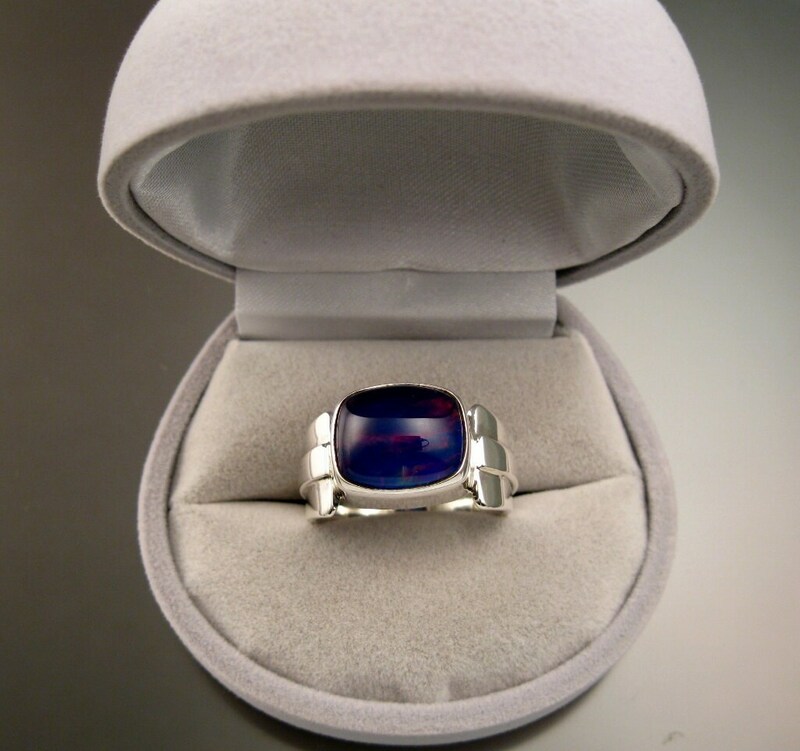 You will receive the pictured ring.